Leading Manufacturer of cream honey and whipped honey from Una. Cream honey varies in color depending on the floral source. This type of honey is easy to spread on the bread just like cream. However, this undergoes a process to control crystallization. It still contains small number of crystals but does not become thick or cloudy like natural crystallized honey. 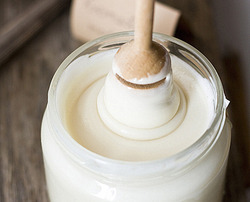 We are offering Whipped Honey. 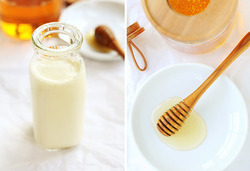 Whipped Honey contains a large number of small crystals, which prevent the formation of larger crystals that can occur in unprocessed honey. The processing also produces a honey with a smooth, spreadable consistency. Looking for Creamed Honey ?